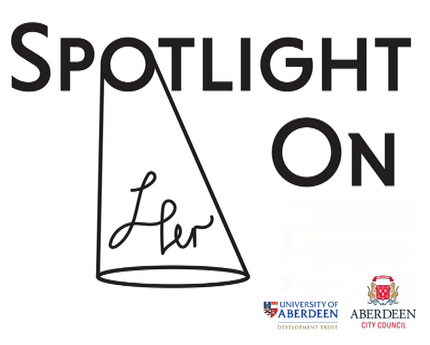 This year, March 8th marks both the 117th celebration of International Women�s Day and the inauguration of Spotlight on Her, a new Aberdeen-based project dedicated to celebrating the work of female musicians. Over the course of the three-day event, an exciting variety of female performers at the top of their respective genres will be giving concerts and workshops alongside performances from local groups and musicians. With support from Aberdeen City Council and the University of Aberdeen Development Trust, this promises to be an inspirational celebration of women and their work. The event begins on Wednesday 7th March with Siobhan Wilson, a Glasgow-based singer/songwriter whose 2017 album �There Are No Saints� effortlessly merges classical and jazz influences with ethereal indie-folk. The Glasgow-based singer/songwriter will be leading a free workshop for aspiring performers in the Blue Lamp from 15:30- 17:00, ahead of her evening performance in the same venue, doors at 19:00.
International Women�s Day itself features Georgina Jackson, one of the UK�s top trumpeters and vocalists. Last August, Jackson performed in �Swing No End� at the BBC Proms 2017, and we are fortunate to have her featuring as a guest soloist with Aberdeen Jazz Orchestra as part of the regular Jazz at the Blue Lamp series, doors opening at 19:00. Jackson will also be giving a workshop and Q&A session from 13:00 to 15:00 on Thursday afternoon at the University of Aberdeen, something which will undoubtedly be a valuable experience for all interested. Finally, Amy Green and Charlotte Harding will perform their lecture-recital �100 Years of Women and the Saxophone� in the MacRobert building on Friday evening at 18:30. This engaging project, combining live performance with the celebration of pioneering female saxophonists through the instrument�s history, has been performed at many prestigious venues, including the World Saxophone Congress in Strasbourg in 2015 and at the Royal College of Music in London in 2016. The duo will also be running a workshop with the University of Aberdeen Saxophone Ensemble from 20:00- 21:00 that evening.